The layout, function, and overall operation of each component is discussed with images and diagrams to clearly illustrate each sub-system. salvage cylinder. Each of these chemicals is described along with the reasons why they are prohibited. The training is conducted using PowerPoint and interactive discussion. An integral part of the training involves allowing participants to obtain hands-on experience with one of the machines after they have finished the classroom sessions. 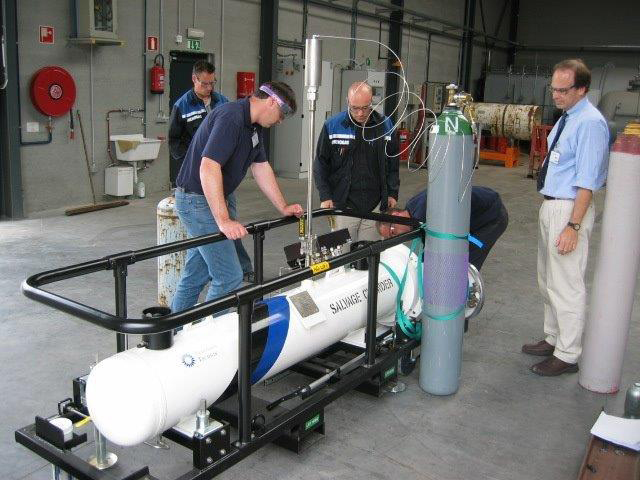 Class participants can learn first-hand how to operate the various salvage cylinder components and gain a further understanding into how the system works. Questions and open discussion is strongly encouraged throughout both the classroom and hands-on training.